Philippine Airlines signed a Memorandum of Understanding for an order of six A350 jets during the Singapore Airshow 2016. Philippine Airlines (PAL) has signed a Memorandum of Understanding (MOU) with Airbus for the order of six A350-900s, with another six purchase options. The news was announced today at the Singapore Airshow by Jaime J. Bautista, President & COO of Philippine Airlines and Fabrice Brégier, President & CEO of Airbus. 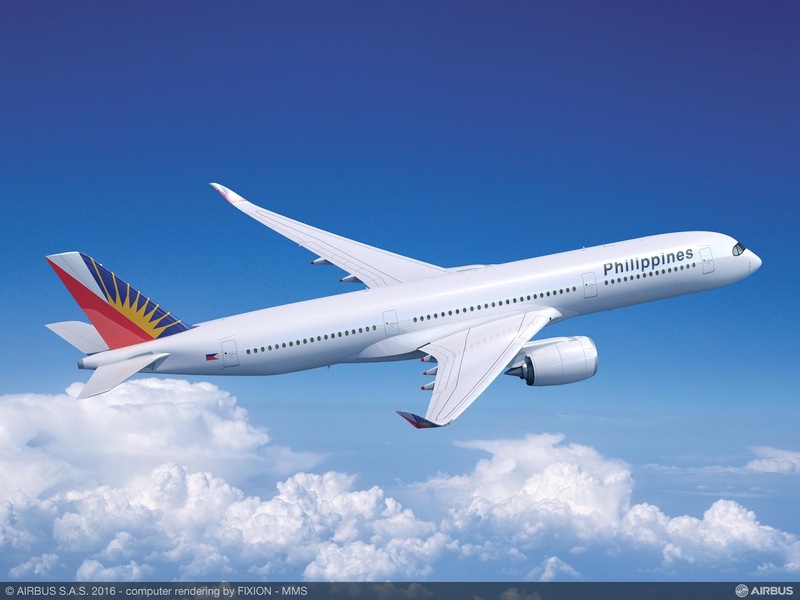 Philippine Airlines will configure its A350-900s with a premium three class layout and will operate the aircraft on non-stop flights from Manila to the US west coast and New York, as well as on services to new destinations in Europe. The aircraft will enable the carrier to operate non-stop service on the 8,000 nautical mile New York – Manila route all year round with a full passenger load. The A350 XWB is world’s latest generation airliner and the newest member of the Airbus widebody family. Featuring the most modern aerodynamic design, carbon fibre fuselage and wings, plus new fuel-efficient Rolls-Royce Trent XWB engines, the A350 XWB brings a 25 percent reduction in fuel burn and emissions, and significantly lower maintenance costs. For passengers the extra-wide cabin offers more personal space in all classes, including 18-inch wide seats as standard in economy class.